Paperback – It's a Britta Bottle! 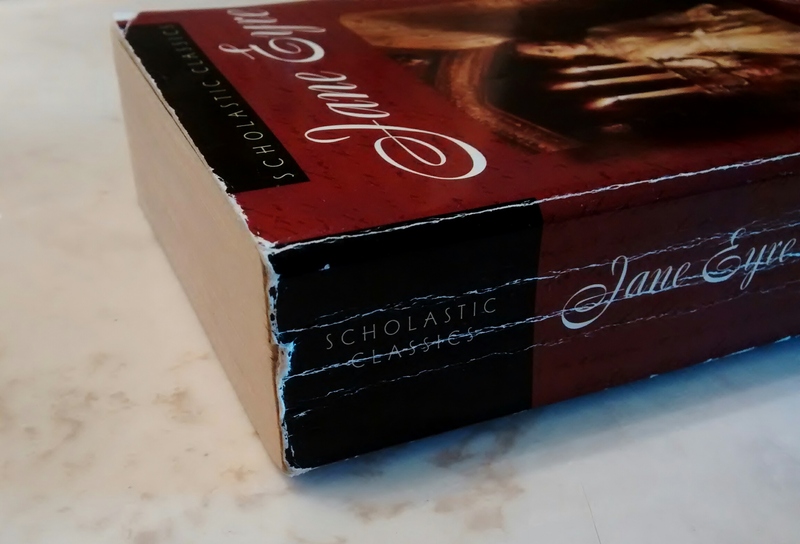 Last week, I talked about my prized Penguin Drop Caps edition of Jane Eyre. Quite mistakenly, today, I give you my first and much loved and read copy of Charlotte Brontë’s classic novel. After I wrote this haiku, I was looking for one of the more worn paperbacks in my collection to photograph for this post…this one immediately stuck out to me and, as it is my favorite book, seemed like the obvious choice.